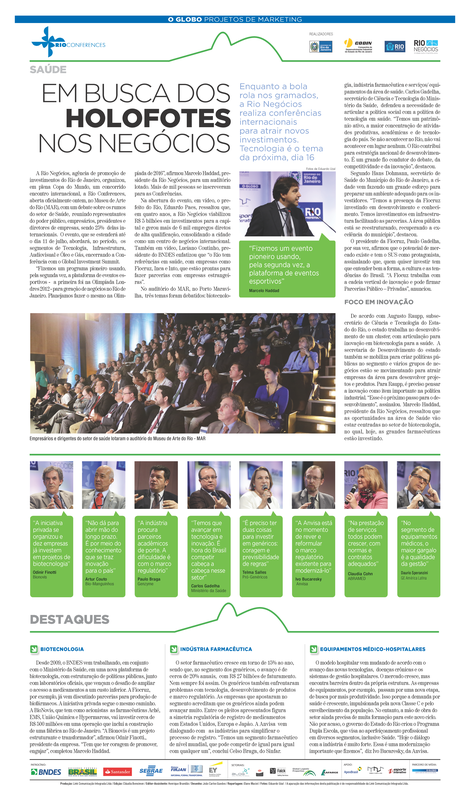 A great opportunity in the health industry Brazil is in the biotechnology sector. 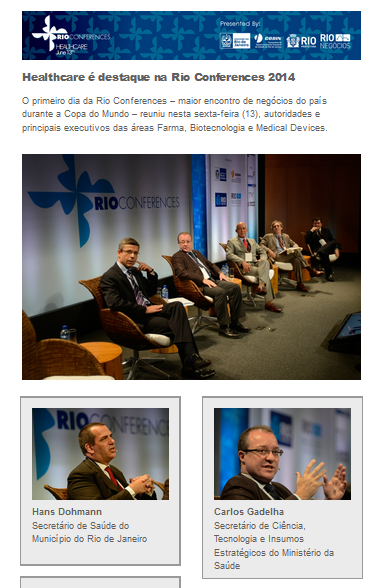 That was one of the main conclusions of the discussions held at the seminar that marked the opening of Rio Conferences, on the 13th of June 2014. The meeting was attended by 128 participants, 81 companies and 19 speakers. In this sector, the environment is favorable to new business due to the huge potential market - estimated at 200 million Brazilians - and the purchasing power of the state. 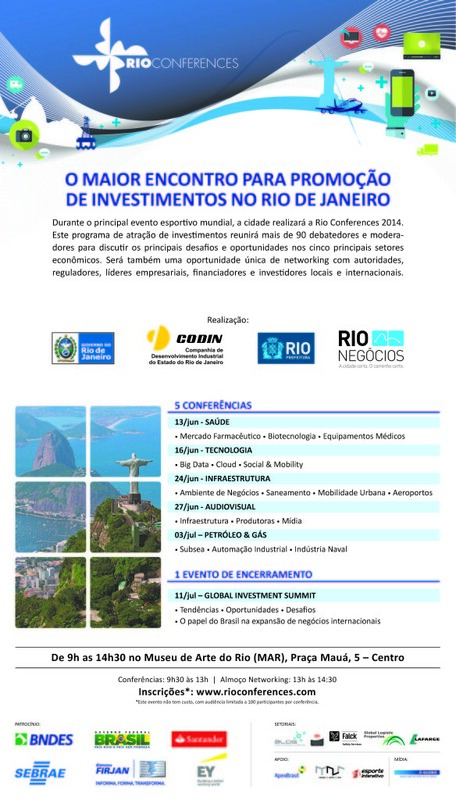 The city of Rio de Janeiro stands out as ideal candidate for bonding initiatives, as it combines technological and professional training conditions, a strong and structured industrial core, as well as offering a space of unparalleled cooperation.